Walgreens Boots Alliance and Rite Aid last week said they’ve complied with the Federal Trade Commission’s second request for information on their merger deal. But it appears the FTC still wants to know more. The New York Post reported Tuesday that the FTC has issued civil investigative demands (CIDs) to Walgreens vendors and competitors to get more information for its antitrust review. Citing unnamed sources, the Post said the CIDs could indicate that the FTC isn’t ready to clear the merger transaction — announced nearly 19 months ago — and might even be gathering information for a potential lawsuit to block the deal. The Post noted, though, that the issuance of CIDs doesn’t mean the FTC won’t end up approving the WBA-Rite Aid deal. Rite Aid shares were down nearly 7% to $3.84 as of noon trading Tuesday. WBA shares had dipped a half-percent to $84.53. 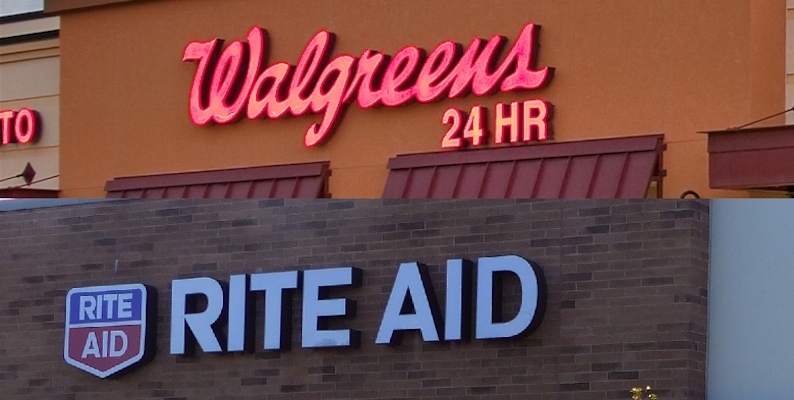 On May 8, WBA and Rite Aid announced that they have “certified substantial compliance” with the FTC for their proposed merger, meaning that they have provided the information needed to determine if the Walgreens-Rite Aid merger is antitrust-compliant. The companies said that in January 2016 they entered into an agreement with the FTC to not close the merger deal until at least 60 calendar days after they had certified substantial compliance with the regulator’s second request for information. The FTC had made its second request for information on the WBA-Rite Aid deal in December 2015. That extended the waiting period until 30 days after WBA and Rite had substantially complied with the request, unless that period was terminated sooner by the FTC or extended by the companies. Last week’s move by WBA and Rite Aid gave the FTC 60 days to complete its review of the transaction. The agency can wrap up its investigation and green-light the deal, enter into a settlement with the companies or block the transaction. WBA and Rite Aid amended the merger agreement on Jan. 30., requiring approval from Rite Aid shareholders. The revised price for the deal is $6.50 to $7.00 per share, putting the cash portion of the transaction at about $6.84 billion to $7.37 billion — depending on the number of store divested — plus the assumption of Rite Aid’s debt. The original acquisition offer on Oct. 27, 2015, was for $9 per share and the assumption of over $7 billion in net debt, for a total deal value of $17.2 billion. Fred’s Inc. has agreed to acquire 865 or more Rite Aid stores in connection with the merger.